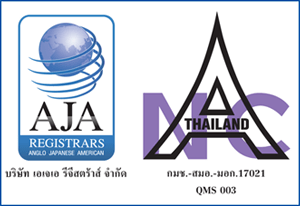 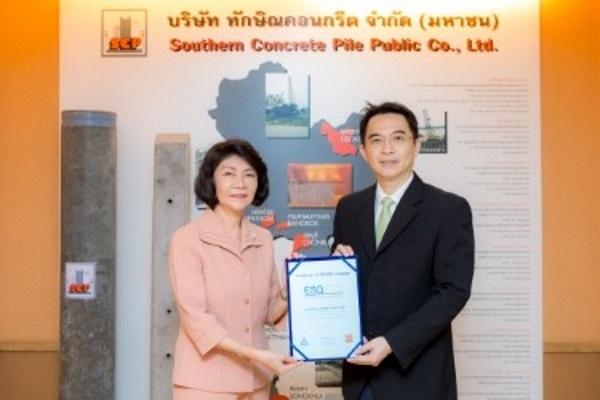 In 2016, the company has been selected into the Universe’s portfolio ESG100, Ms.Arunee Nganthavee, Managing Director and Management Team of Southern Concrete Pile Public Company Limited accepted the ESG100 Company Certificate from Dr. Pipat Yodprudtikan, Director of Thaipat Institute (ESG100 recognizes 100 companies listed in The Stock Exchange of Thailand with outstanding environmental operations, social and good governance. 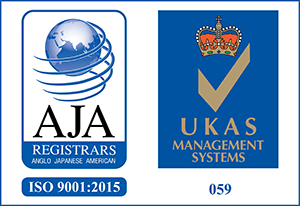 ESG100 also provides baseline data for investors looking for listed companies with outstanding ESG achievements. 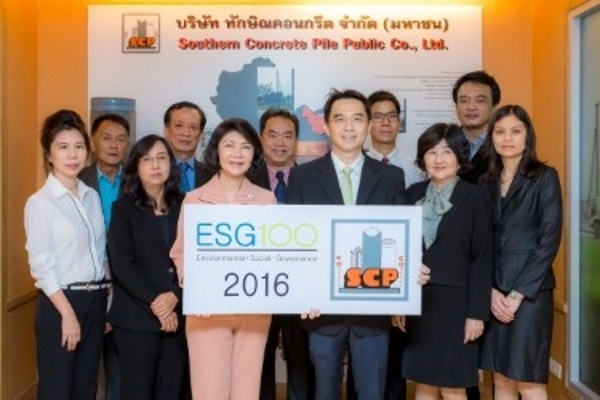 ), held at Head Office: Southern Concrete Pile Public Company Limited on 14 July 2016.